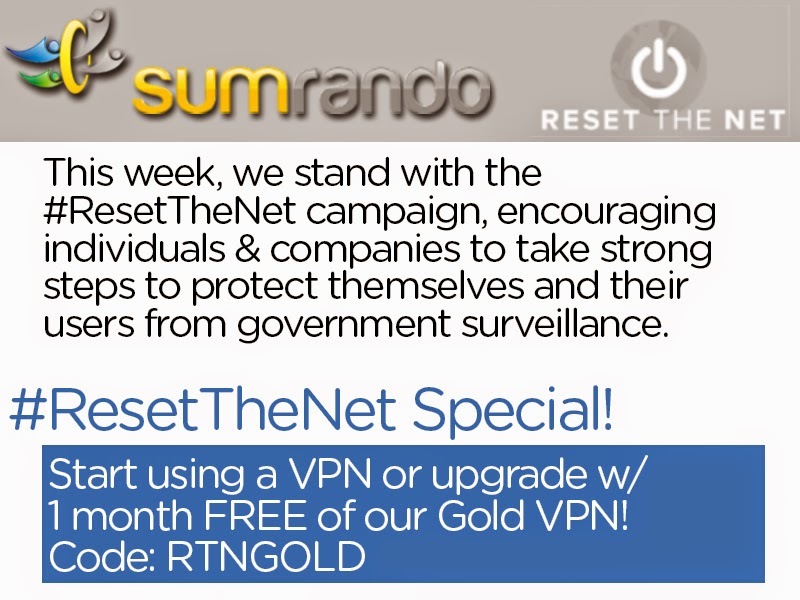 Take Advantage of Our Special #ResetTheNet Gold VPN Promotion! We are excited to be participating in Fight for the Future's #ResetTheNet campaign tomorrow, June 5. 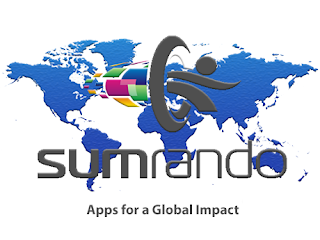 At SumRando VPN, we believe in #RTN's message that individuals and companies should take strong steps to ensure their privacy and security online. Leading up to tomorrow activities, we wanted to invite people to take strong individual action to protect themselves online. We are offering 1 month of our VPN Gold Plan in honor of #ResetTheNet. You can take us up on this offer by entering the code RTNGOLD after clicking here. If you aren't currently using a VPN, try our Gold VPN for free, and if you're an existing user, upgrade to Gold for more features and faster service. Learn more about #ResetTheNetIn addition to protecting yourself with our promotional Gold VPN, we encourage you to learn more about the larger #ResetTheNet campaign and other ways you and protect yourself and your customers, if you represent a company. There are many commonsense ways to improve your security online that this campaign promotes, and many of these solutions are free of cost. As the campaign unfolds, our team at SumRando VPN, we will keep you up-to-date with more coverage today and tomorrow on Twitter, Facebook, and here on our blog.